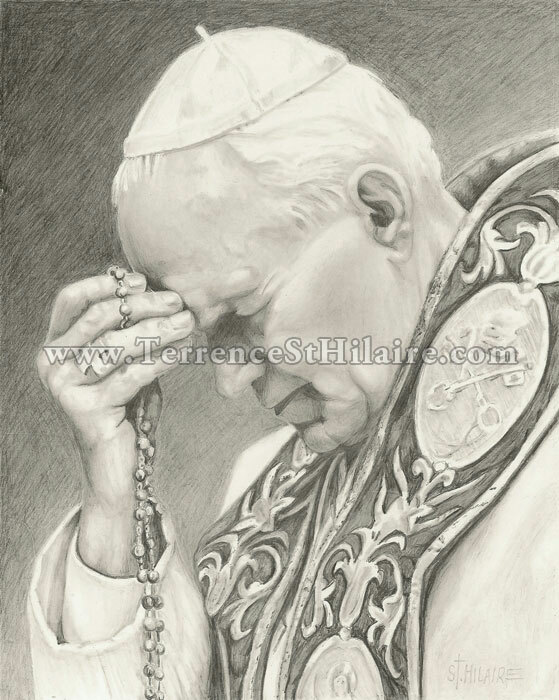 One of my favorite pictures of Pope John Paul II. As much as John Paul was known for his outgoing, world-traveling personality, he had an equally deep spiritual side. There are many stories of the hours he spent in prayer and meditation, and of course we know that his prayer life was very Marian-based. 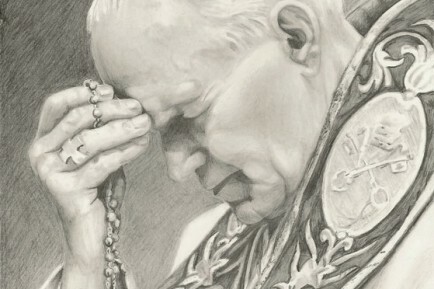 I think this picture captures the essence of his deep Marian spirituality.